Let’s face it: replacing or repairing your roof can be extremely expensive. 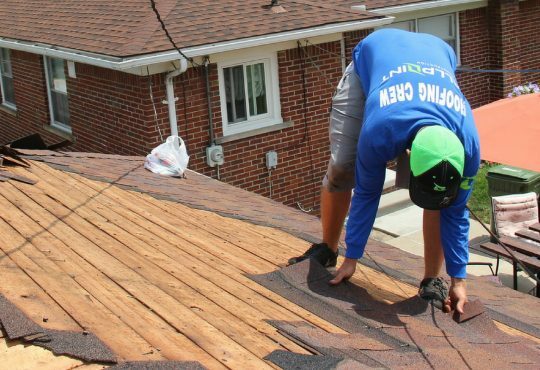 When you’re paying thousands of dollars for something, it’s important to hire a skilled and experienced professional so you can have peace of mind that your roof will be adequately repaired or replaced. That being said, it’s important to look for certain red flags while you’re talking to potential roofing contractors in Canton Michigan. Just check out the five red flags you should look for in roofing contractors below! 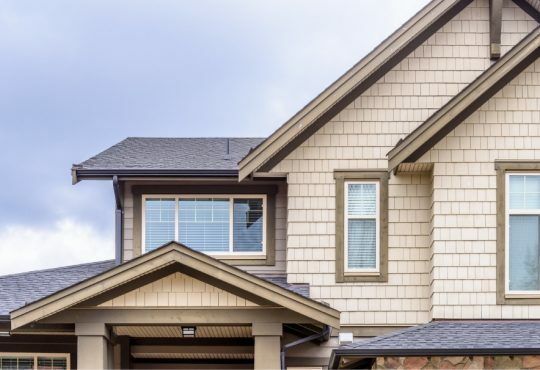 One of the most obvious surefire signs a roofing contractor doesn’t have as much experience as they claim is if they have a lack of portfolio. Sometimes, contractors feel the need to compensate for their lack of portfolio. So, instead of showing you a portfolio they explain they’re new to roof contracting and will give you a discount. Unfortunately, this is often a sign of a scammer. Take a second and think about it. Even if a roofing contractor is starting out, they most likely have some employer and client references. 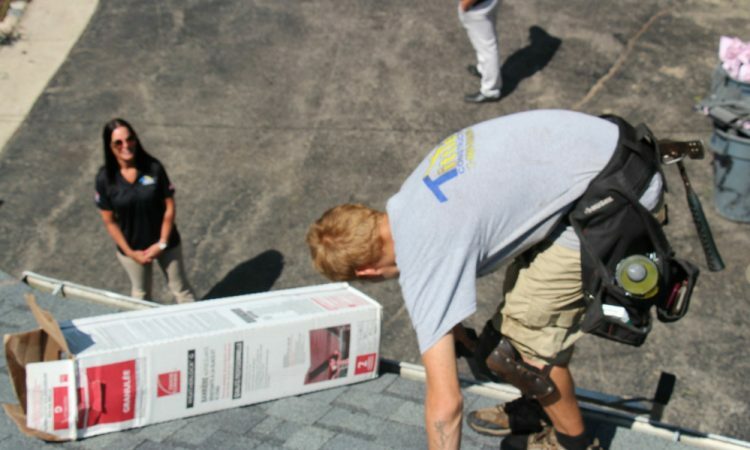 Since roof contracting can be difficult, most roof contractors used to be general contractors. So, even if they can’t show you their roofing portfolio due to lack of experience, they should be able to show you other projects they completed. Overall, not having any employer references is an indicator they aren’t in good standing with their former bosses. The same goes for client references. If a roofing contractor can’t give you any client references, then they most likely don’t complete satisfactory work. 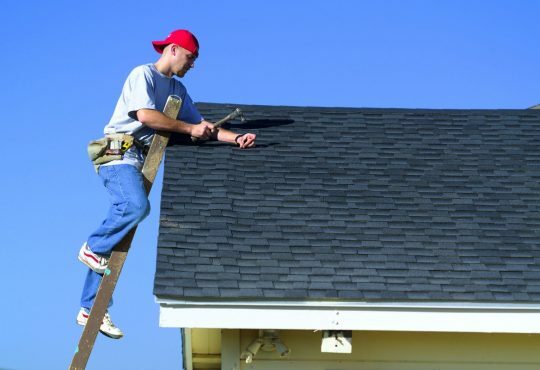 Any trustworthy roofing contractor will have their own insurance policy. While insurance policies differ, general coverage ensures clients are protected from being responsible for any costs in the event that an employee is harmed while working onsite. 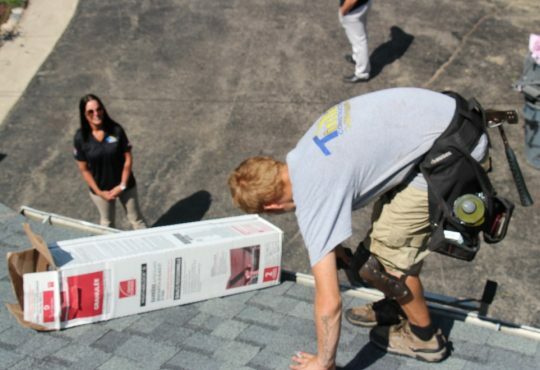 Let’s face it: roofing contractors are aware of the hazards that come with their job. That’s why they’re often extremely careful when working, but you never know what could happen. That being said, the last thing you want to do is worry about having to claim financial responsibility for an accident that happened at your home. Instead, the employer should take responsibility of it through their insurance policy. Regardless of how small your roof project is, you should have an official contract for the project. One of the biggest red flags is if a roofing contractor doesn’t use contracts. Instead, he might claim his word is his contract. While using words can be helpful to clarify what needs to be done in the project, they ultimately don’t protect you in court. That being said, make sure you sign some sort of contract that at least goes over the basics of the project. Most acclaimed roofing contractors have a standard contract that is simply modified for each project they take on. While this might seem extra, it’s just a simple procedure that protects you in case anything goes wrong during or after the project. As you can tell, these phrases are scary and attempt to inflict anxiety in homeowners, so they feel prompted to hire the roofing contractor. That’s why it’s important not to succumb to the anxiety and fear if you come across a roofing contractor like this. Instead, remain calm and realize you are one step closer to finding the perfect roofing contractor. The last red flag you should look for in a roofing contractor is if they work under the table. Working under the table means the roofing contractor solely receives cash and doesn’t have traceable payment documents, therefore they don’t pay income taxes. In addition to being illegal due to evading taxes, this often poses the risk of something going wrong during or after the project because there is no paper trail of the work they completed. In other words, good luck getting a warranty or refund. 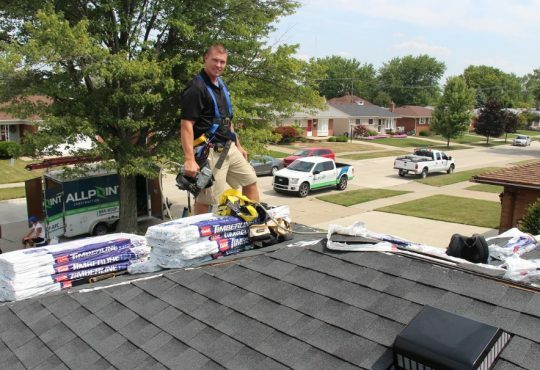 In order to get the best outcome for your roofing project whether it’s a small roof repair or a full new roof installation in Canton Michigan be sure to always use licensed and qualified roofers. 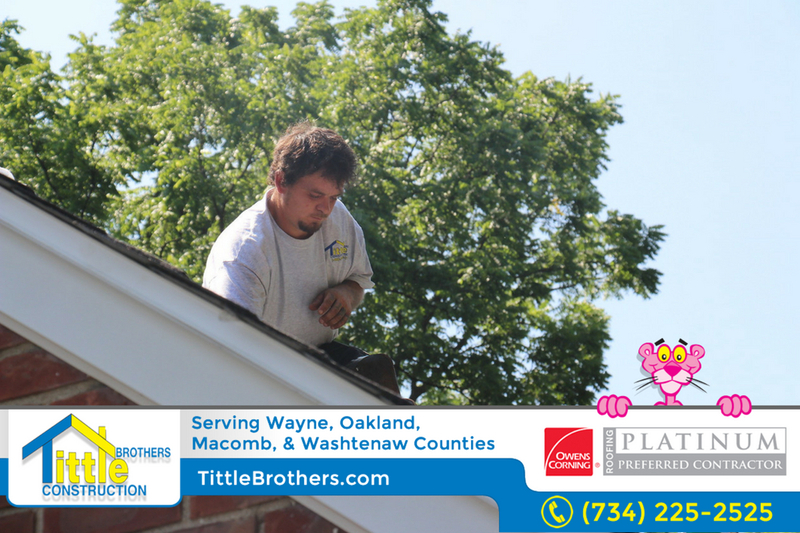 One of the best roofers in Canton Michigan is Tittle Brothers Construction. 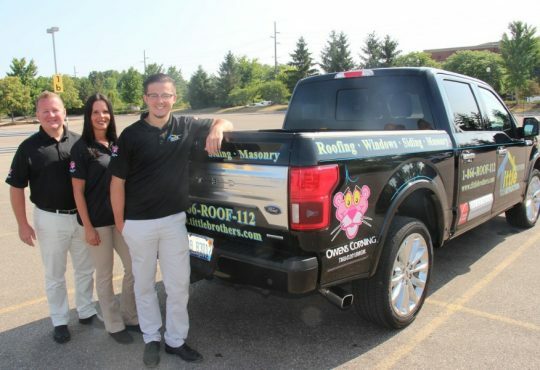 Call today at 734-225-2525 for a free estimate on your roofing project in Canton Michigan.